On May 10, 2018, the 14th China International Cultural Industry Fair was officially opened in Shenzhen. The current ICIF was held in the opening year of the 19th National Congress of the People's Republic of China. It is also an important exhibition held to commemorate the 40th anniversary of reform and opening up. The ICIF has implemented in depth the strategic deployment of the Nineteenth Congress on “Strengthening Cultural Self-Confidence and Promoting the Prosperity of Socialist Culture” and presented major achievements in the development of China's cultural industry as well as fine art creation since the reform and opening up, aiming to promote the flourishing in the new era of socialist culture with Chinese characteristics. At the same time, the ICIF also held various forums, seminars, lectures and other related activities, highlighting the cultural connotations, strengthening the high-end leading role, and providing authoritative guidance and cutting-edge concepts for related industries. 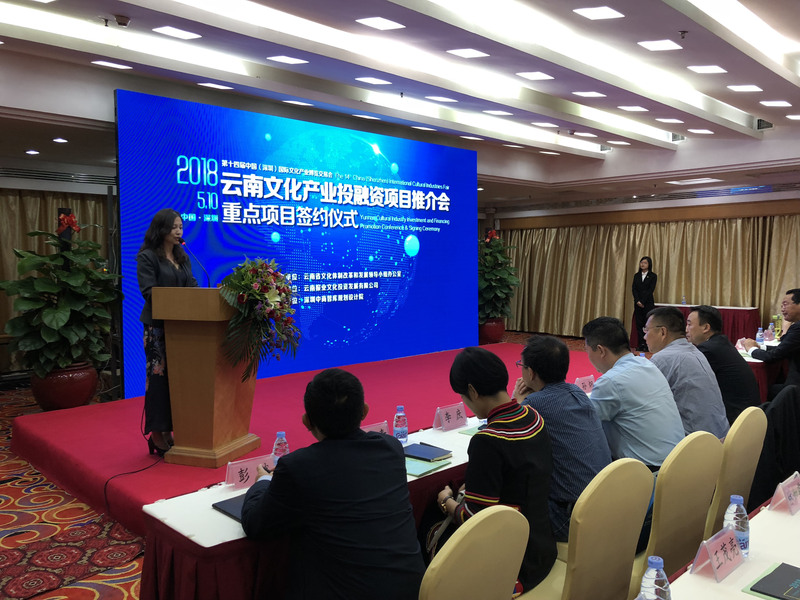 On the morning of May 10, the promotion meeting of the ICIF and Yunnan Cultural Industry Investment and Financing Project Promotion Meeting was held at Shenzhen Jinbi Hotel. As the core content of the ICIF, this promotion meeting attracted a number of well-known enterprises from Yunnan and other provinces to participate in the joint venture, aiming at innovating financing methods through inward-outsourcing, promoting the transformation and upgrading of Yunnan's cultural industry. 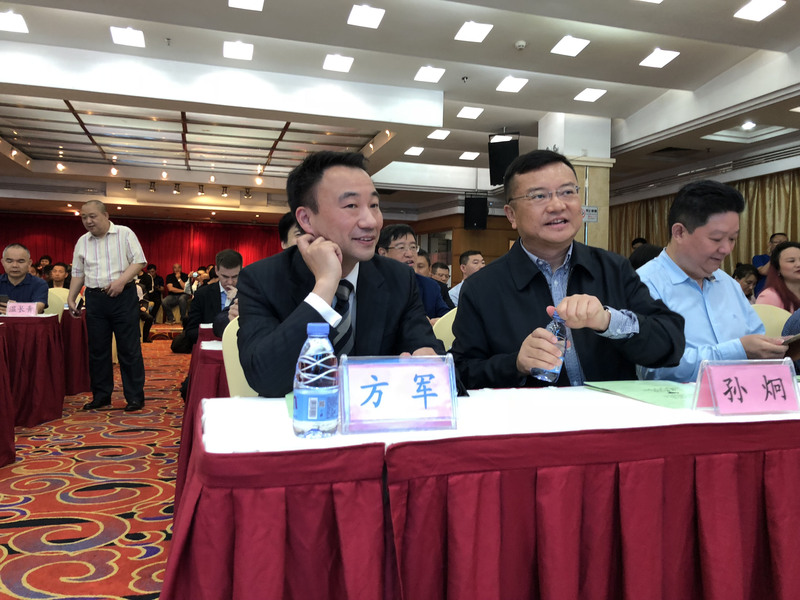 The chairman Fang Jun of Newtiming was invited to attend this promotion meeting. Chairman Fang delivered a speech on the topic of “Introduction of Yunnan Film Industry”. 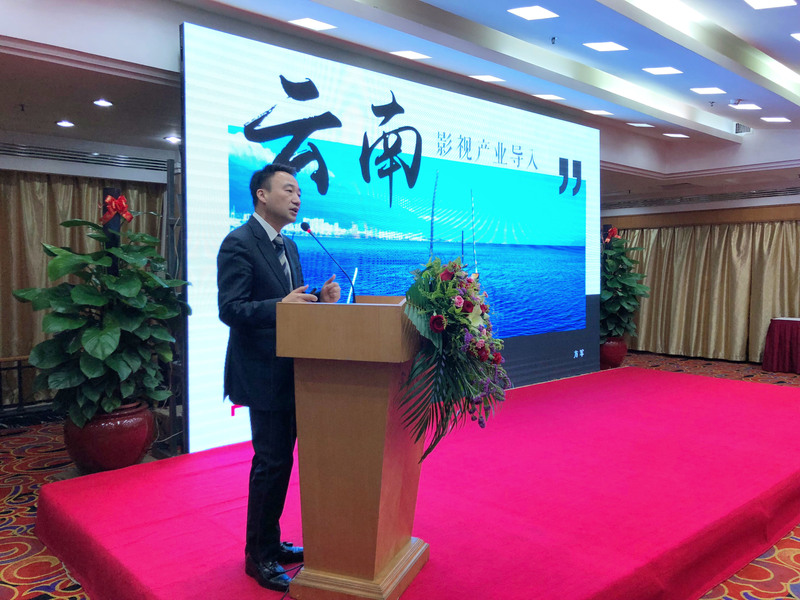 He said that Yunnan can learn from the excellent film and television industry bases at home and abroad, combine the tourism industry with the cultural industry, promote the connotation quality of tourism with culture, and enhance the cultural production and consumption with tourism. By making some landmark landscapes become the classic scenes in film and television dramas, such as the activation of ancient landscape features and the development of new attractions that young people like to visit, it may make “the old older, the modern more modern, and the natural more natural”, thereby stimulating tourism consumption. While tourism brings economic prosperity, it can in turn also promote the accumulation of talents and stimulate each other to become a new highland for the cultural industry. After the meeting, the Yunnan provincial leaders conducted a deeper exchange and discussion on Chairman Fang’s speech. Chairman Fang also stated that he would base his resources on Yunnan, give full play to Yunnan's advantages, highlight Yunnan's characteristics, and conduct in-depth cooperation with the Yunnan government to introduce more movie and television drama projects, such as the TV drama project New Peacock Princess that has been launched in Yunnan. At the same time, Newtiming will also fully integrate the Asian content industry, promote the integration of culture, film and television industry as well as science and technology, and stimulate new forms of business. It will promote the integration of culture, film and television industry and finance, use capital strength to boost the development of cultural and film industry, and establish more film and television cultural linking projects in Yunnan, such as the international standard high-tech studios and studios, film and television industry post-production base, film and television distribution and trading center. It will focus on the AI and VR direction of the film and television technology R & D center, performance training in Coleman Film Academy, the financial and small towns of the film and television culture industry, national and provincial cultural and tourism creative industrial parks, etc. It will promote other industries through film and television, and the output will be in line with the One Belt One Road strategy. In the end, Chairman Fang stated that Newtiming would work with the Yunnan Provincial Government to create a win-win situation and build Yunnan into an international cultural center that combines ancient and modern radiation in South and Southeast Asia.